The VMware platform is now used by thousands of enterprises and businesses to deliver mission-critical data and applications to millions of devices. However, the popularity of virtualization systems in today’s environment has also made them a security risk. Managing security risks on the VMware platform can seem daunting – but Edward Haletky, a leading VMware expert, has offered a comprehensive guide to VMware security. Haletky helps virtualization professionals address security risks and implement effective security measures and practices to ensure the safety of enterprise data and the stability of critical applications. 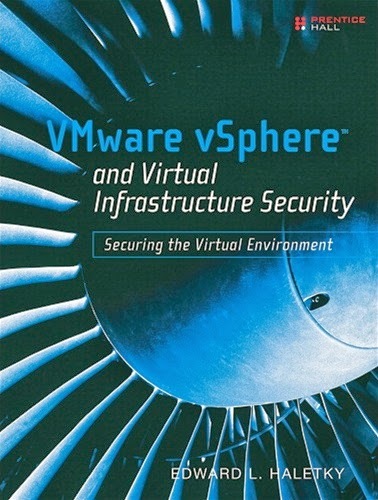 VMware vSphere and Virtual Infrastructure Security: Securing the Virtual Environment not only offers the basics of using VMware security tools and identifying security threats, but details exactly how to mitigate and address current security threats and configure VMware infrastructure for more security. From the basics of virtual server security, to explaining the unique features and risks of VMware platforms, Haletky’s guidance covers everything needed to effectively secure VMware platforms. Today’s enterprises demand both performance and security on their VMware environments. With Haletky’s guide, you can learn the skills needed for effective security on VMware platforms and get the knowledge needed to be an expert in the field of virtualization. Great Work. This post is worth everyone’s attention.Vmware Jobs in Hyderabad.